All information in this post has been provided by the author and the publisher. It was an October night, and I was returning home from a night out with a few friends in my local pub in London, when something happened that changed my life dramatically. The nights were closing in, so it was already dark by the time I left the pub, but I was in a good mood. I’d recently returned from a trip to Pompeii , so I’d been telling everyone of my excitement at walking through the Roman streets, marvelling at the murals and depictions on the well preserved houses, and laughing about the seedier aspects of the ancient city – the brothels and street graffiti that had also survived the great volcanic eruption of AD 79. It was probably because I was so preoccupied with these thoughts, that I didn’t see the guy who came out of an alcove and wrapped an arm around my neck. My first thought was, ‘Am I being mugged? Who’s going to mug me? ?’ – I’m a big guy, over six feet tall and I keep myself in pretty good shape, so I’d always thought the chance of this happening in London were pretty remote. But I was wrong. When the second guy came out from behind a car, then the third from behind a bush I knew I was in trouble. This was no ordinary street robbery; these guys were out for blood, and the three of them surrounded me and between them punched, kicked, and smashed me to the ground, beating me to an inch of my life. Afterwards, as I tried to hobble home – one of them had crushed my foot, to prevent me from getting up – another passer-by saw me covered in blood and called an ambulance. I was lucky, I got to live another day. And within a few weeks, my bruises healed, and I began to walk without a limp, all physical signs of my encounter disappeared. But that was just the start of my nightmare. I was completely unprepared for the mental-trauma that such an incident inflicts on you. That winter was torture for me. After any night out, I was terrified to go home; I found I was scared of the dark, constantly thinking that people would jump out of the shadows at me. I’d never previously been a heavy drinker, but over that winter I found I needed to drink a lot just to give me the courage to walk home. I could have called a taxi, but then people would wonder why I was taking a cab for such a small journey – this became another all-encompassing fear: that others would find out about my terror. This might seem irrational, but at the time, that fear was almost as great as being mugged again. Those first six months were very difficult, but then as the nights started getting lighter, an idea came to me. 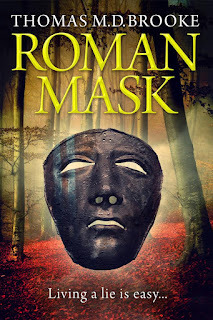 After visiting Pompeii I’d been searching for a character to be a lead in a novel set in ancient Rome – someone who fully embraced the entirety of Rome, its seedier aspects as much as its magnificence. Why not put my experiences to good use, rather than having it a weight bearing me down, let it be something that produces something positive. At the time, the news on the television was full of stories of soldiers returning from Iraq and Afghanistan with post-traumatic stress and it made me think how soldiers dealt with such issues in the ancient world. My experiences had shown me the power that traumatic events can play on the mind, and I quite simply didn’t believe anyone who claimed that in the ancient world such a thing was not a concern because life was different back then. The human mind was biologically exactly the same then as it is now, and just as fallible to conditions we now diagnose and understand the importance of. So I came up with the character Cassius, a great soldier, but someone who’d been affected by a terrible battle a few years before in the forests of Germany. 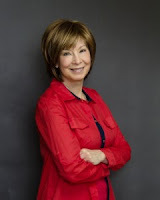 I knew from my own experiences how easy it was to fall into a trap of blaming yourself for your own perceived weakness, and I knew how living a lie to hide that same weakness can become a part of life. I then started my novel in Rome so I could show Cassius being seduced by the many vices of that ancient city – something that is all too easy under such circumstances. I then returned Cassius to Germany where he learns to understand and come to terms with his fears, just as I did whilst writing my novel. The novel culminates in the Teutoburg forest and one of the most dramatic and historically significant battles of the ancient world. Cassius needs to draw on all his courage and strength in the midst of that terrible event. I’m now pleased that I encountered those three men, that fateful night in October. It was a terrible experience, but it gave me something so much more – I wouldn’t change it for anything. Kate Morton’s latest novel, THE LAKE HOUSE, officially hits bookstores tomorrow. People named it one of the best books of the fall, and Library Journal called it when they said, “Fans are lining up.” Apple even chose it as one of October’s best of the month titles! Starting in late November, Kate will be traveling all over the country (as well as Canada!) to meet and greet her fans and sign copies. Check out her tour schedule below and find more details/join her events on Facebook. 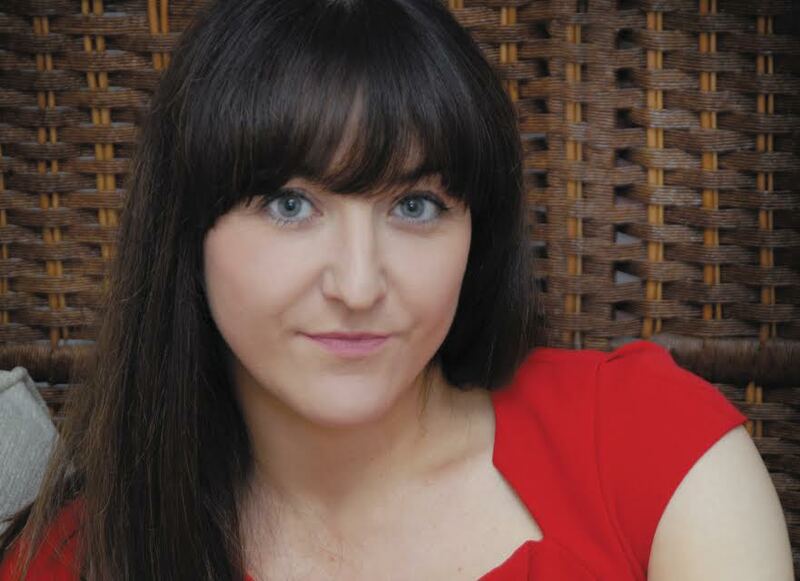 A native Australian, Kate Morton holds degrees in dramatic art and English literature. She lives with her family in Brisbane, Australia. 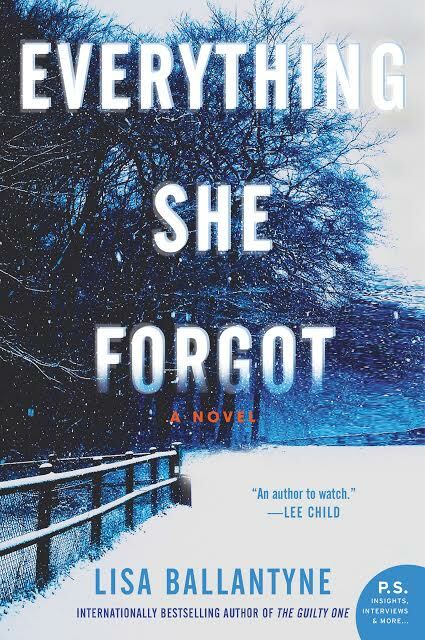 From the New York Times and internationally bestselling author of The Secret Keeper and The Distant Hours, an intricately plotted, spellbinding new novel of heart-stopping suspense and uncovered secrets. Owen McKenna has yet another ​case to solve that involves bizarre ​murders that are somehow connected to the Medici Family of Florence, Italy, and that lead Owen to Italy. Investigating in Italy was no safer than in the United States, though, especially after he visits a former member of The Cosa Nostra. When the case seems to be nearing a solution, something else happens and Owen is back to square one along with the reader, but of course he doesn't give up. Mr. Borg has given his readers another wonderfully researched and ​thrilling ​mystery that is difficult to put down.​ You won't ​want ​to stop reading as the action heats up. TAHOE BLUE FIRE​ ​is written for historical fiction fans and especially those who love Frank Sinatra. TAHOE BLUE FIRE also has the same wonderful characters including, Spot, appropriately named his Largeness. Despite the terror and close calls in TAHOE BLUE FIRE, the ending is heartwarming. Eve, Zoe, Catherine, and Willow. Grandmother, mother, daughters, and granddaughter all caught up in family secrets. All four women had a lot going on over the years that made today difficult for each one of them. Join in the suspense as well as the family saga that will pull at your heart strings but make you want to be with the characters. CHANCE HARBOR takes us through the years with Eve, Zoe, Catherine, and Willow. Willow was my favorite. She was sweet but wise. Zoe made me crazy. Eve and Catherine were characters that held the story together as secrets unraveled and brought the characters closer, made them more understanding, or simply helped them find themselves. Ms. Robinson has crafted a beautiful story with unforgettable characters and with wonderful descriptions of Prince Edward Island that take you there sharing the characters' experiences and pain as well as their little bit of the happiness. I truly enjoyed CHANCE HARBOR, and any women's fiction fan which includes me will fall in love with this book and its characters. The setting as well as the warmth and the vividness of the characters pull you in and keep you turning the pages. Ms. Robinson has a way with words that has you not wanting the characters' stories or the book to end. This was my first book by this author even though this isn't her first book. Pretend, pretend, pretend and you most likely will talk yourself into thinking you will be able to do something or overcome some fear. Pretending about things was what Molly's family did. Her dad was a therapist, and that was his strategy with patients and the strategy that he brought to the family. PRETENDING TO DANCE goes back and forth in Molly's life as the reader shares her sorrows and joys as a child and as an adult. ​Her joys and sorrows as a child surround her parentage and growing up. Her joys and sorrows as an adult deal with keeping her past a secret from her husband and dealing with adopting a baby in an open adoption ​fashion. We also share secrets that she finds out about her family that forced her to move away and lie about her past to her husband. ​I actually didn't like Molly as an adult. As a child she made me nervous with decisions she made. I loved her father, Graham, and his caregiver, Russell. The other characters were sort of in the background but kept the story line connected. PRETENDING TO DANCE does drag a bit, but if you have read any of Ms. Chamberlain's other books, she always incorporates social issues into her books in a very intriguing way. PRETENDING TO DANCE wasn't a favorite for me, but it did feel like a mystery as I thought about all of the secrets Molly had to keep and that we had to find out and how Molly needed to pretend to be able to cope with issues. I love the title of the book....very pertinent. What really did happen the night of the accident? Ronny kept asking himself over and over if it was his fault or if Matt caused his own death. Ronny and Matt had been friends throughout high school but now Ronny was a police officer and Matt was still the trouble-making kid he had always been. DARKNESS THE COLOR OF SNOW takes the reader from present day back to Ronnie and Matt's high school days letting us in on their antics and how they fell apart and where they are today. DARKNESS THE COLOR OF SNOW also touches on the topic of small towns and the way corruption can occur with its officials. I truly did not like Martin who was the head of the town council. He was a corrupt official who was doing illegal things but made himself appear to be the good guy to the public. Ronny was a sweet kid who seemed to always get the short end of the deal. Matt was not a nice person and someone who caused Ronny grief during their teenage years as well as their adult years. DARKNESS THE COLOR OF SNOW was a tense read, but very good. I am actually going to classify it as a psychological thriller. The situation and the characters kept me glued to the pages but also had me nervous for the decisions the characters made. I was trying to figure out the significance of the title of DARKNESS THE COLOR OF SNOW and came up with the idea that the book had dark things happening in the small town of Lydell and the snow that was always falling made it an emotionally cold place to live. Let me know what you think of the book and the significance of the title if you read the book. In celebration of the release of the paperback edition of THE SILENT SISTER by Diane Chamerlain, Katie Bassel of St. Martin's is sending a copy to one lucky USA winner in this giveaway. Entry form is at the bottom of the review. Good Luck!! Three copies to three USA readers. The publisher will choose the winners. 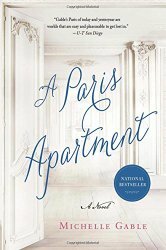 Who Loves Books Set In Paris? 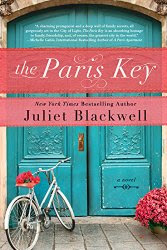 Books set in Paris seem to be everywhere. 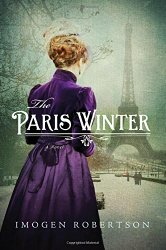 I have read quite a few books with Paris in the title, and look what books this young man found on my blog. 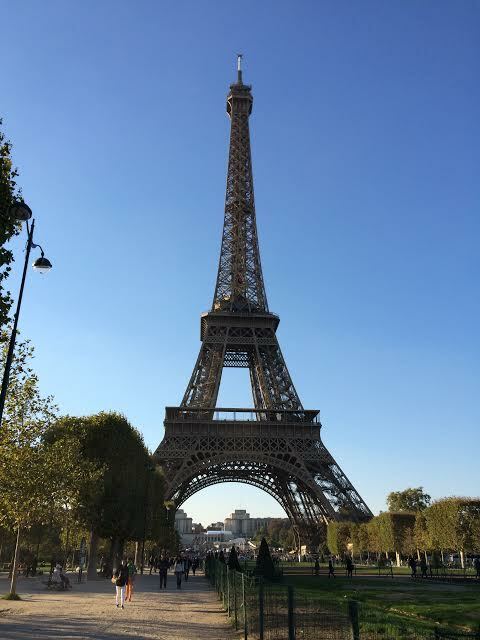 He actually is in Paris this week!! He wanted to do a video and I said SURE that would be fun. So ENJOY his video and my reviews of the Paris books.